Aged 18 to 33, millennials represent a key marketing demographic. Millennial buyers are projected to spend an annual $1.4 trillion by 2020 according to Accenture. More important for marketers: millennials are passing through important lifecycle events, such as starting their first jobs, getting their first home, and getting married that involve major purchases. Because 40% of US millennials aged 25-34 don’t trust advertising according to Initiative. 43% of millennials are non-white, attributable to high Hispanic and Asian immigration. 33% of millennials (ages 26 to 33) have college degree or higher. 67% of recent bachelor’s degree recipients have outstanding student loans with $27,000 in average debt. 65% of millennials aged 25-34 are employed full time (Initiative research). 32% of millennials (between 18 and 32) are married. 29% of millennials aren’t affiliated with any religion. 19% of millennials say most people can be trusted. 44% of millennials aged 25-34 are addicted to their devices. (Initiative research). 90% of millennials say that people share too much about themselves online. Bottom line: US Millennials are diverse, well educated demographic that doesn’t accept traditional identification. But many of them have financial challenges, in terms of jobs and pre-existing debt. Their views influence their buying behavior. 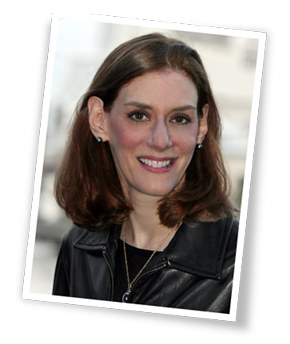 Take the time to observe and engage with millennials in your target market. Don’t assume that you can treat them as one homogeneous segment. BUT millennials grew up on social media. 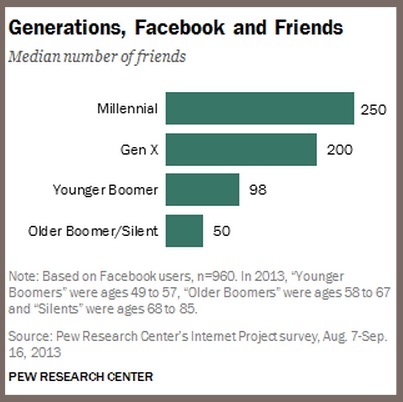 81% of millennials are on Facebook and their median friend count is 250. 55% of millennials have posted a “selfie” on a social media site. To better understand this marketing audience, ShareThis analyzed 58 million US millennials based on 2.4 billion social signals associated with over 2 million websites and mobile apps. 25% of millennials share content on social networks, 3.6x more than average. They average 4 shares per week. 55% of millennials click back on content shared by peers, 2.3x more than average. 18 is the number of clickbacks generated by millennials, 30% more than average. 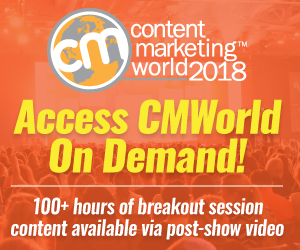 Examine millennials’ content seeking and sharing habits. 47% of millennials share content about politics and government despite not associating with a political party. 38% of millennials share content about family and parenting. This makes sense since Facebook is about engaging with family and friends. Further, it’s where millennials turn for this important information. 31% of share content about business. Interestingly people starting their careers are still more focused on personal topics. Assume that millennials are sharing content related to your products, business, brand and category when they’re relevant and important to their lives, not your marketing schedule! Be prepared to engage with them where and how they want to interaction. Millennials use different social media platforms for specific reasons. Twitter is where millennials turn for business and financial information as well as sports. This makes sense since these are time-sensitive areas. Pinterest is where millennials shop. This makes sense because it’s an aspirational site where people turn for ideas. Notable is the fact that Facebook doesn’t over index for any topic. It’s higher than Pinterest and Twitter for health and fitness but only because its competitors are negative. 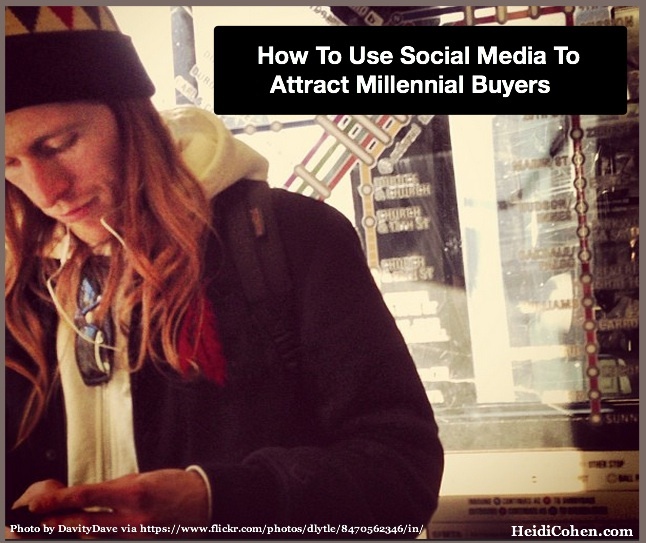 Be active and engaged on social media to reach engage potential millennial buyers where and how they want to interact. Target your social media interactions based on content focus. Know what millennial expect from your firm on each social media platform. Remember they’re sophisticated users. 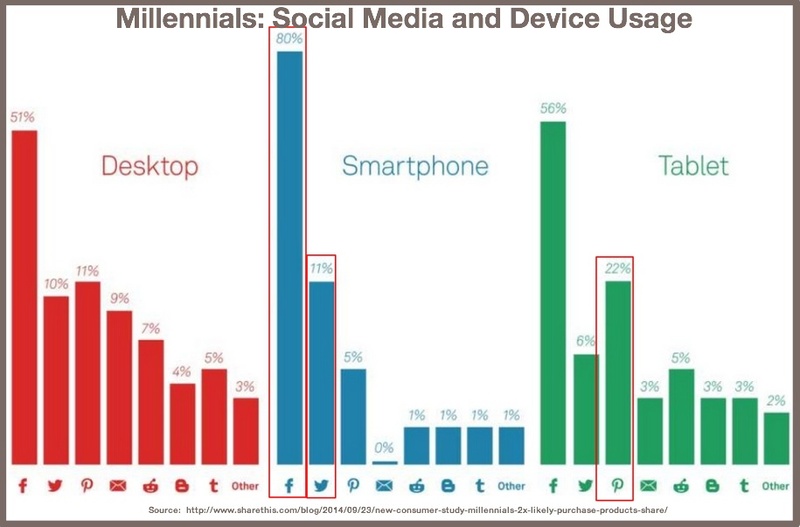 Millennials use different devices for different social media platforms. Smartphones are where Facebook and most other social media platforms trump. This is logical since social media, even if used to message family and friends, is generally for content snacking. Pinterest gets a disproportionate amount of traffic from tablets. Again, this reflects Pinterest’s power as the place consumers look to get ideas. Tumblr gets most of its interactions on a desktop. This reflects the fact that Tumblr requires more thought and input for engagement. 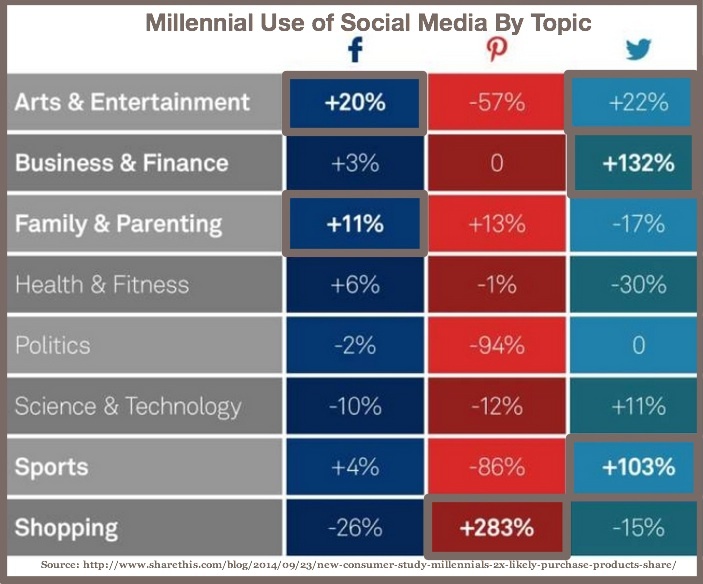 Target content to millennials on different social media platforms based on usage. Make sure that your content is optimized for the different devices used. Social media aids millennial sales. Millennials are 3.6x more likely to share product reviews and recommendations. 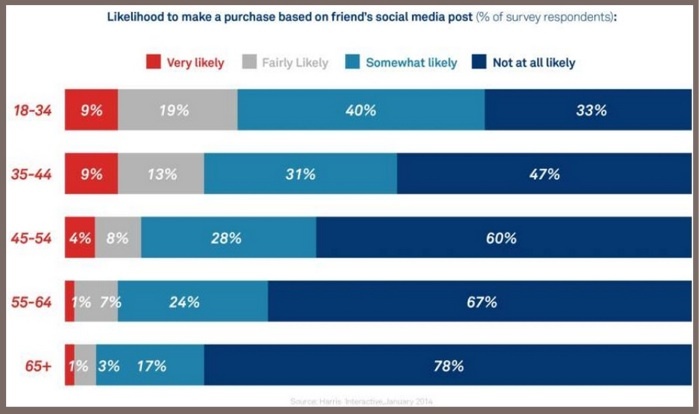 67% of millennials are likely to purchase based on a friend’s social media post. Get your millennial fans involved in your offering since they’re trusted sources and the value of a positive online share is worth a 9.5% improvement in increased value and desirability according to ShareThis research. 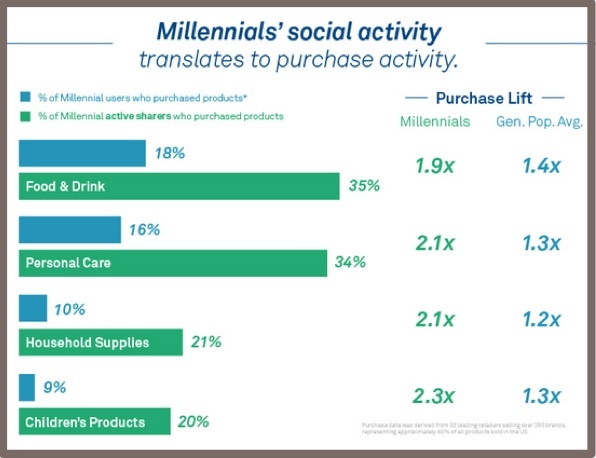 Social activity by millennials translates to sales at a higher rate than the general public. This makes sense since millennials grew up using social media. They need interaction and engagement to build trust and convert intentions into purchases. For most businesses, millennials are significant portion of your target audience. They can’t be ignored. Take the time to interact and gain a deeper understanding of your target shopper, especially on social media. This will help you to build trust and gain tractions with your prospects. What has your experience been with millennials? 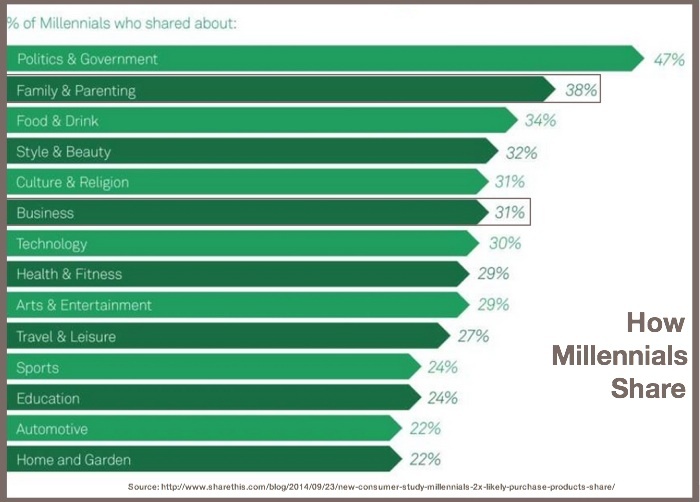 Tags Chart, Millennial, Pew Internet Research, ShareThis. Bookmark the permalink.